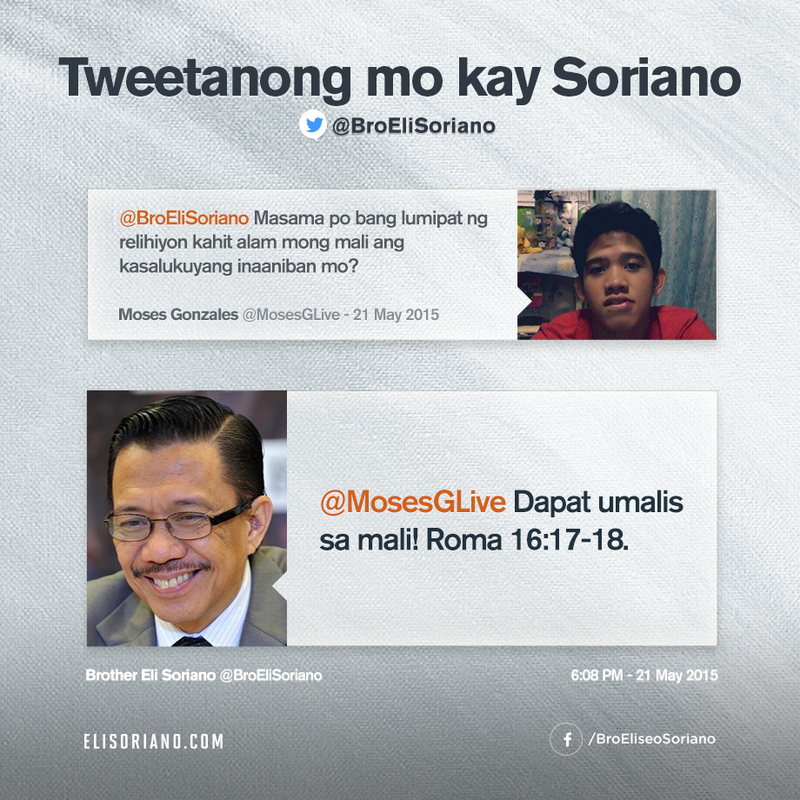 Share Bro. 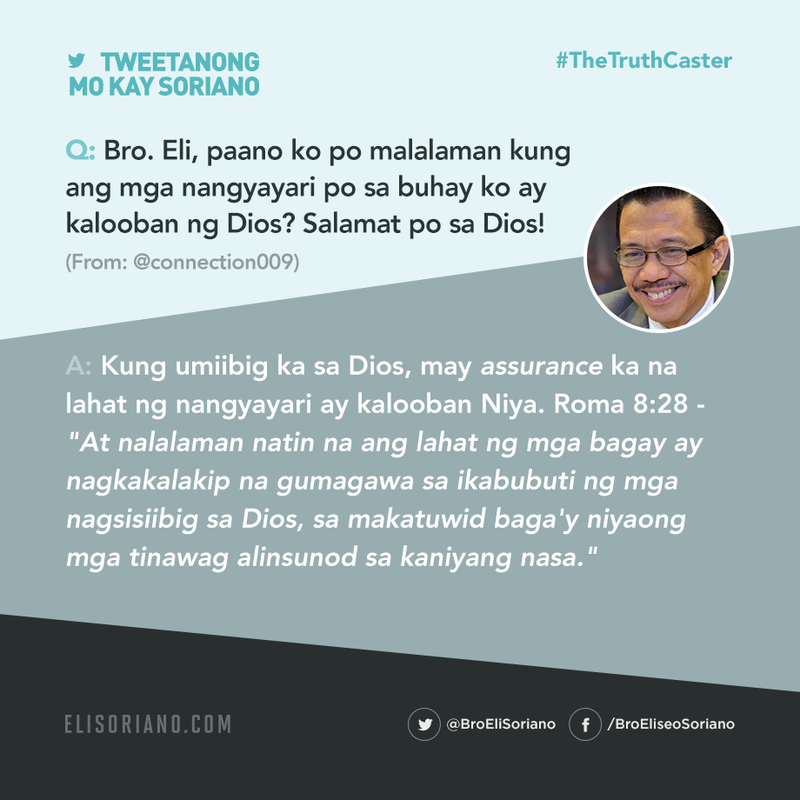 Eli’s answers to inquiries sent to him through Twitter. 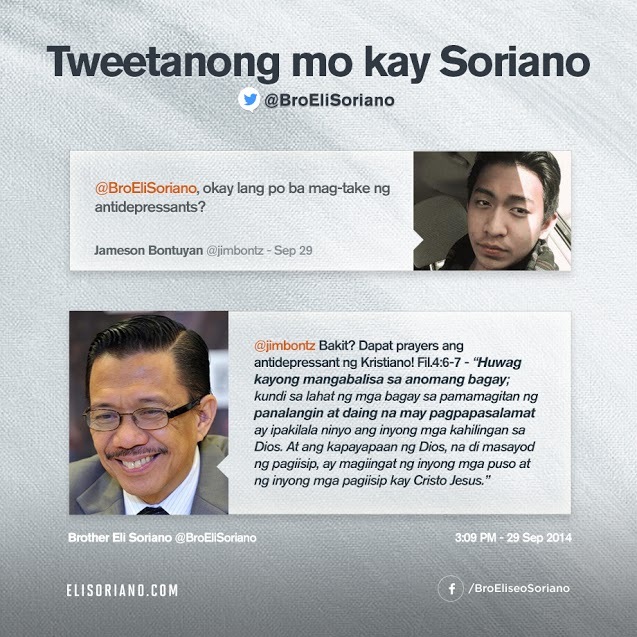 With God’s mercy and help, Bro. 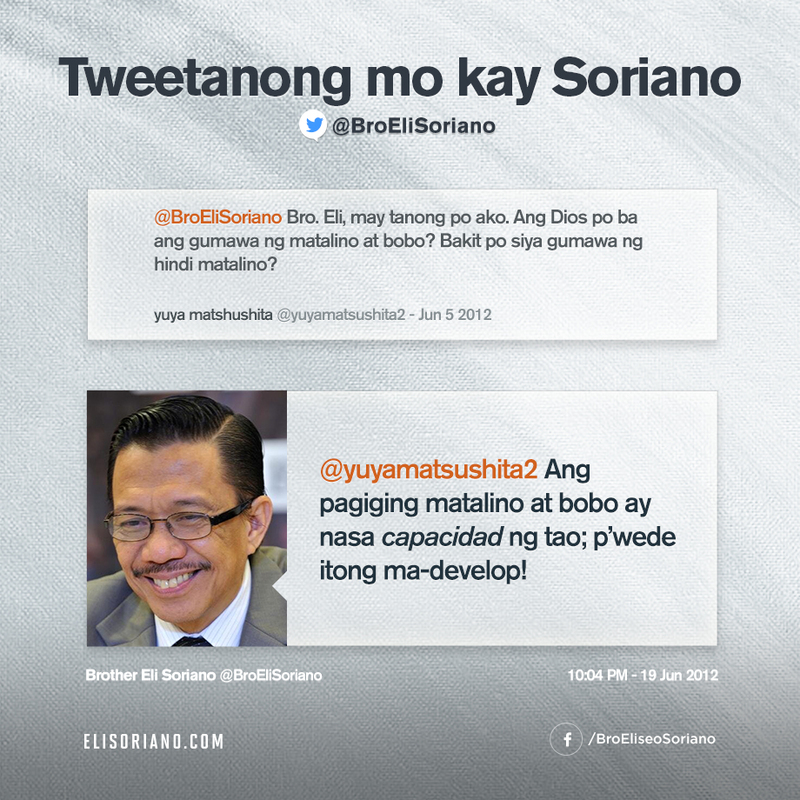 Eli utilizes this social media platform to be of service to one and all. 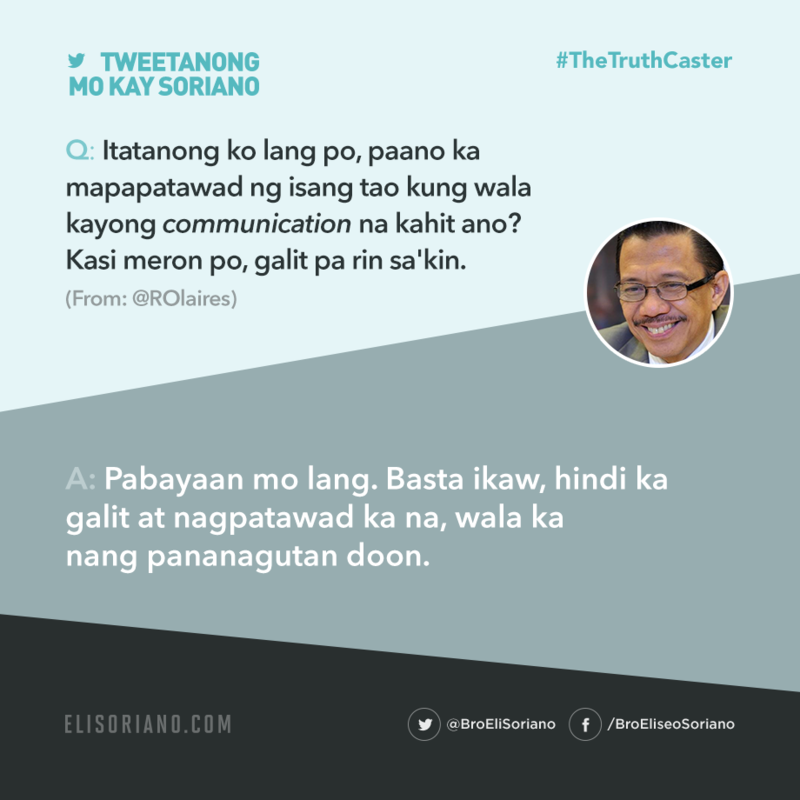 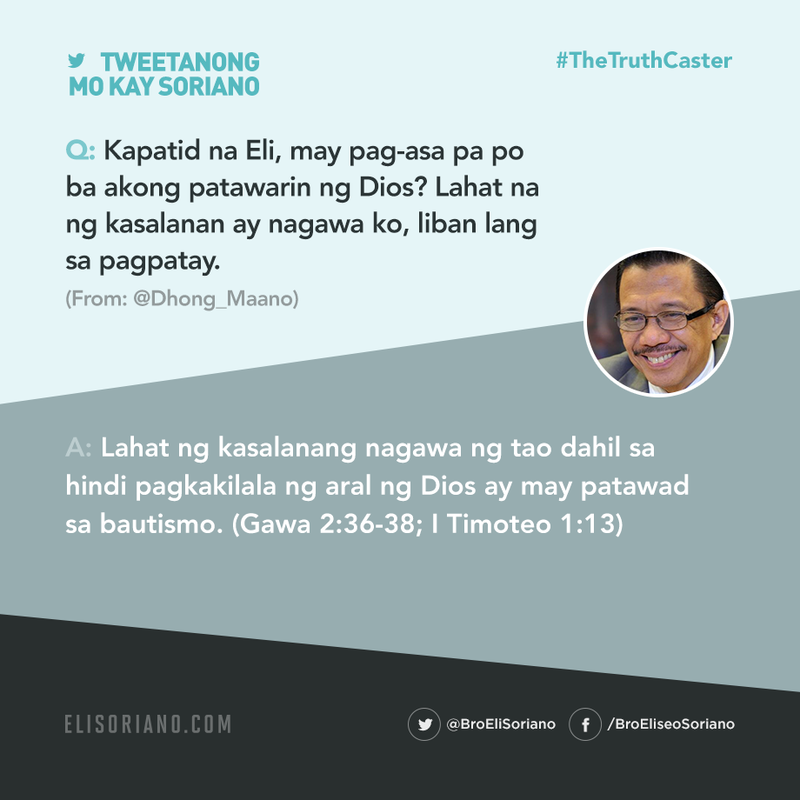 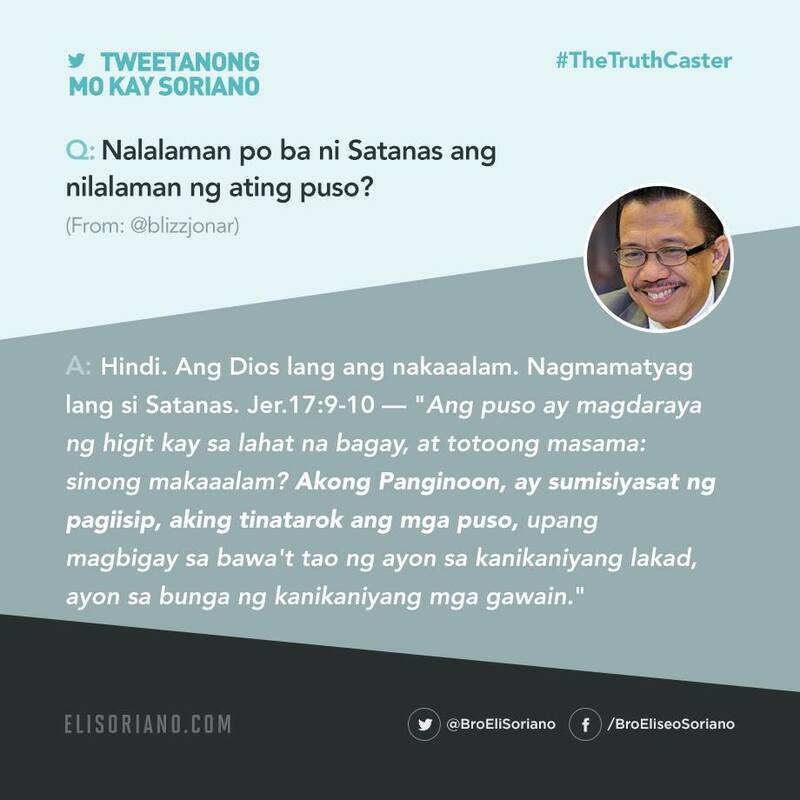 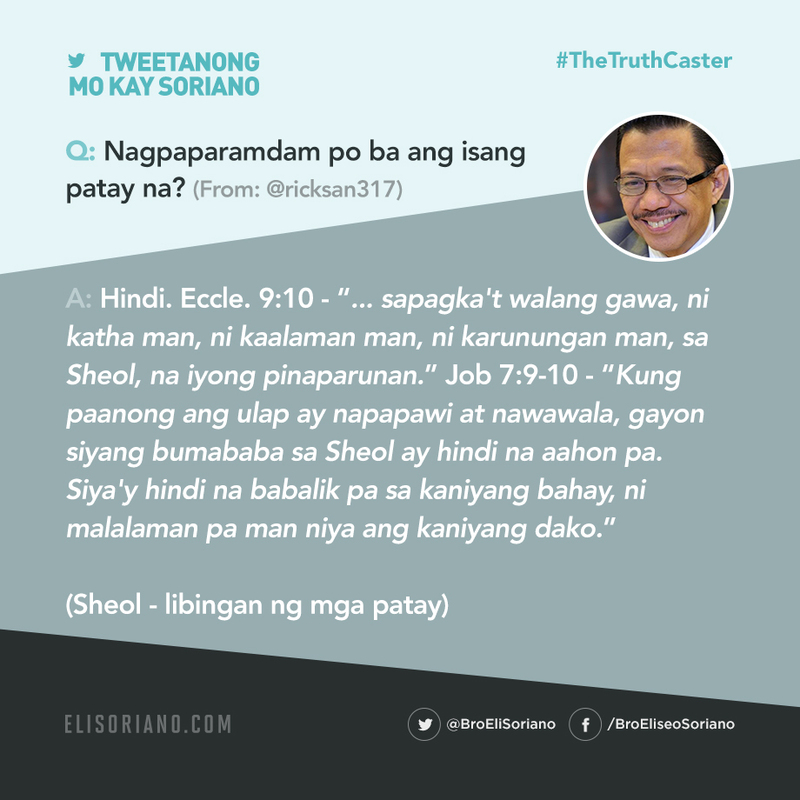 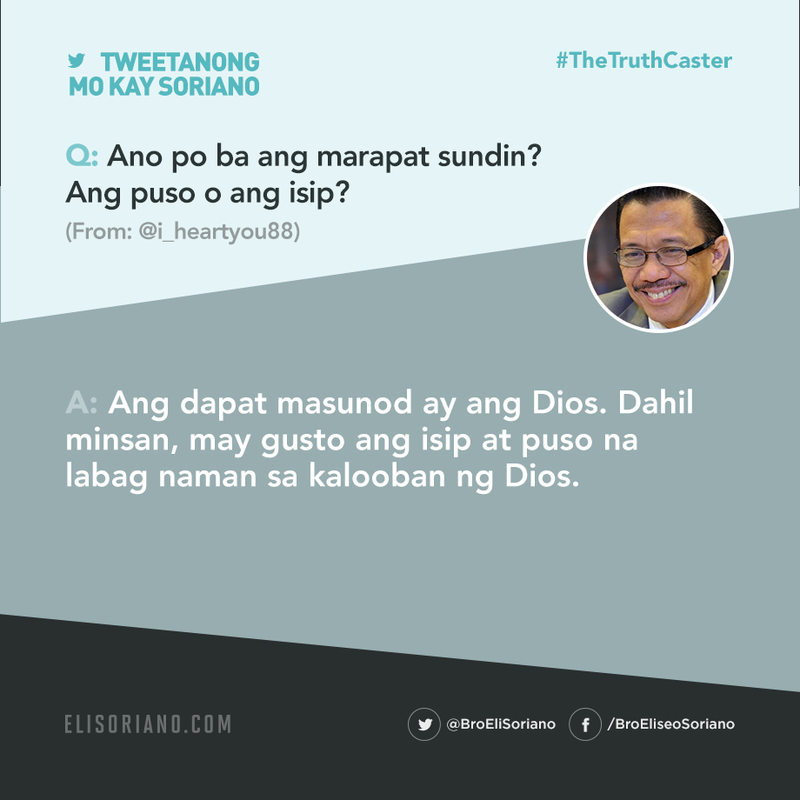 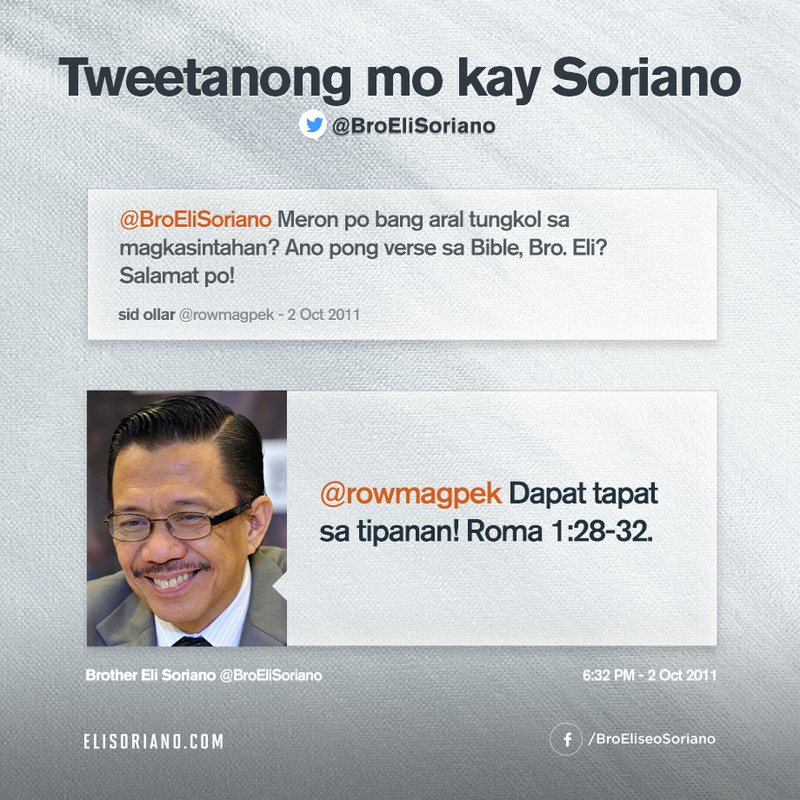 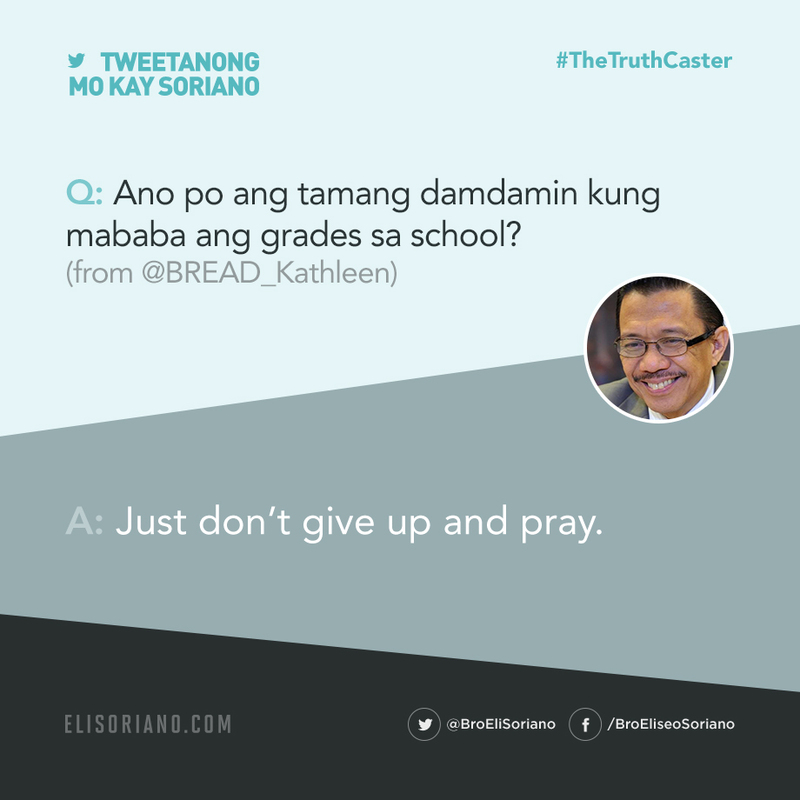 For more tweets, follow his official Twitter handle @BroEliSoriano.